Rating the Ratings. How different people viewed individual West Ham performances at the weekend. When I was young (I’m talking about between the ages of around 8 to 11, so over 50 years ago) I used to badger my dad to buy the People newspaper every Sunday. Apart from liking their match reports, they were the only paper (to my limited knowledge at the time) who gave the players ratings out of 10 for the game played the day before. 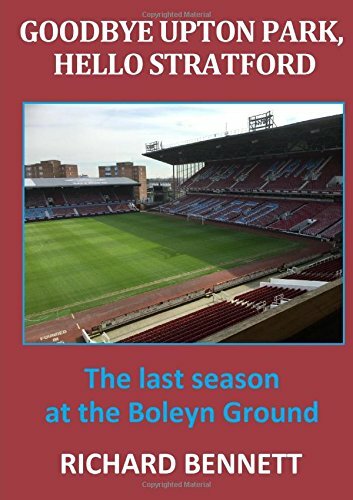 You have to remember that all games were 3pm kick offs on a Saturday at that time, so apart from midweek games, I was able to collate the figures for most of the West Ham games throughout the season. I used to painstakingly write out on a schedule the subjective scores of the reporter at the game, and then as the season progressed I would calculate the averages. In this way I believed I was working out which players were the best. I didn’t keep my schedules, although I can recall that Bobby Moore and Johnny Byrne always figured highly at the time. Now I haven’t really taken too much notice of player ratings since that time all those years ago, but it did occur to me that more and more publications, both newspapers and websites, seem to be giving players scores for their performances. Some of this is done for the purposes of fantasy leagues, dream leagues etc, and some for the purposes of the supposedly ever increasing demand for football statistics. Understanding the subjectivity involved, I decided to analyse some ratings that I researched when looking at the performances of individual West Ham players in our win on Saturday at Southampton. I looked at eight sets of scores, including those by my fellow web co-blogger Geoff, to see how much correlation there was in the figures. I was surprised by the consistency of what I found. I was expecting greater variation knowing how people tend to see games differently. The eight sets of scores are listed above. I have only used the scores awarded to the eleven starting players. Of course, when I used to look at the data fifty years ago, there were only eleven players in each game as no substitutes were allowed at the time. Column A is the total of the eight scores. Using standard statistical analysis to remove some element of bias / unusual scoring, Column B is Column A minus the highest and lowest score awarded to each individual player. For example, the Football Insider score for Kouyate is way out of line compared to the rest of the scores, so this “unusual” score is eliminated from the calculations. Column C is the average score for each player based upon the six “middle” scores, i.e Column B divided by 6. Unsurprisingly, Obiang was considered our player of the match as he was the top scorer in each of the eight sets of scores. His average was well ahead of Carroll who was second, and Noble in third. Feghouli finished at the bottom, although he still scored an average of 6.00. The average for the team using this calculation was 6.70. It was just a bit of fun, but does give the thoughts of eight individuals subjectively analysing player performances in the game. Pedro Obiang is my player of the season to date, and his performance in this game reinforces my belief. I think, but I am not 100% certain, that he is the only West Ham player to score a goal and create an assist in the same game in the whole of this season. I’m sure someone will correct me if I’m wrong!